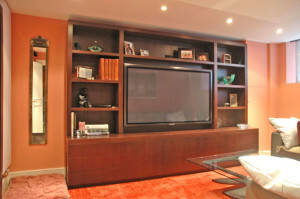 This living room featured an enormous TV fixed to a rotating bracket to allow it to be housed in the chimney breast. 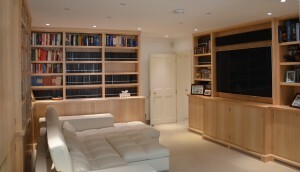 This formed part of a larger scheme carried out by Tim Jasper including a new kitchen, bedrooms and bathrooms. 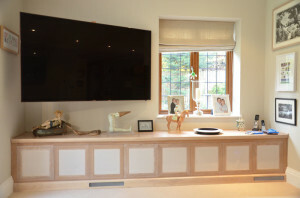 This limed oak cabinet incorporates speakers and AV equipment.